Tickets are available through members of the Hall of Fame Board of Directors or by calling President Charlie Hammersley at 540-556-0377 or VP Gary Walthall at 540-427-1977. Tickets are $35. After January 8th, tickets may be purchased at the Civic Center box office. The Salem-Roanoke Baseball Hall of Fame was founded in 1991 and honors players and contributors from the counties of Alleghany, Roanoke, Bedford, Botetourt, Craig, Floyd, Franklin and Montgomery and the independent cities located within the boundaries of those counties. The building is located on the grounds of the James E. Taliaferro Complex. Manuel is a Southwest Virginia native and a 1995 inductee into the Salem-Roanoke Baseball Hall of Fame. He played in the major leagues for the Twins and Dodgers and was a star in Japan, playing for both the Tokyo Yakult Swallows and the Kintetsu Buffaloes. After his playing days, he managed both the Cleveland Indians (2000-2002) and Philadelphia Phillies (2005-2013), winning the 2008 World Series with the Phillies. Playing Field Promotions is a booking agent for motivational sports speakers and celebrities. 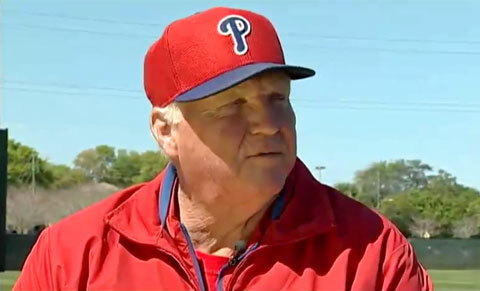 If you would like to book Charlie Manuel for a speaking engagement or personal appearance, contact Charlie Manuel ’s booking agent for appearance & speaker fees at 1.800.966.1380.